Hello there...and can I just tell you how excited I am to share the best news???? Did you see the Justrite Papercraft blog yesterday???? Well if you didn't see it yet, than I am here to tell you that Justrite Papercraft is back and I couldn't be any more excited!! 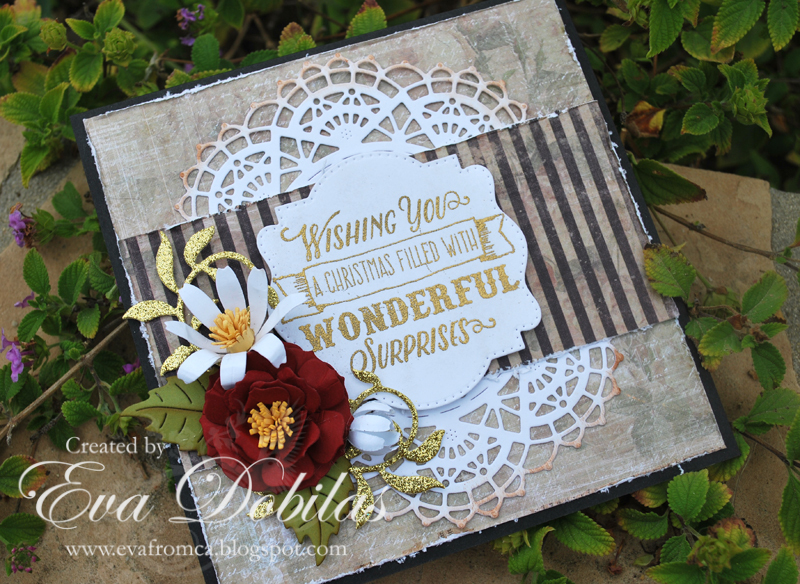 So today we share cards with one of the prettiest sets called Multi-Step Poinsettia. I have a Christmas card to share with you. My card base is a 5.5" square. I started out with cutting a Nautical Wheeler Doily out of white card stock and layered a panel on top of it. Than I die cut Pierced Stacker #3 and gold embossed my sentiment on it. I die cut a Gardenia Strip out of red card stock and created my flower. I also die cut the fringe from the Black Eyed Susan Strip and created the middle of my flower. Than I die cut a Chrysanthemum Strip and created two little flowers. I finally die cut a Rose Leaf Strip and used two of the larger leaves and a Leafy Flourish out of gold glitter card stock and added them to my card. 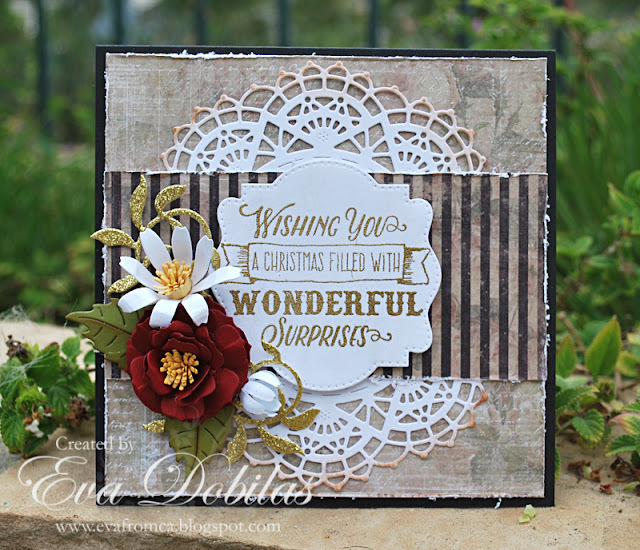 And now it's time for you check out what the rest of the team created using this stamp set. Here is the list of designers to look at today.